1. It’s great for both boys and girls! Whether you have a little ballerina, superhero, or somewhere in between, all active toddlers can benefit from our early childhood movement program. It’s fun for everyone and gender neutral! 2. The pace of the class is age appropriate! 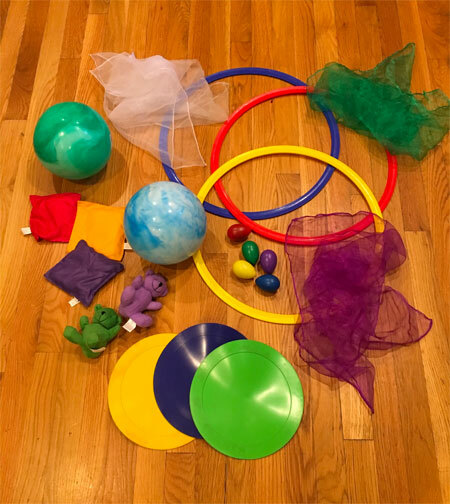 While active toddlers love to boogie with our circle dances, freeze dance, movement props and obstacle course, calmer songs and small movements on the floor keep children (and their grown-ups) from becoming overtired and teach young children how to calm their bodies after a stimulating activity. 3. It’s a great steppingstone to full-year dance recital programs. Our 10-week sessions introduce children to the joy of dance without the anxiety of preparing for a performance or making a full-year commitment. Our program, for both parent and child, shows young dancers how to participate in dance class and builds their confidence for future dance experiences. 4. Families can enjoy a class together with siblings in the same class. Our mixed-age classrooms for ages 16 months to 3.5 years, with infant siblings welcome at no charge, have many benefits. Older children love to show what they know, and younger children love to observe and imitate. The relaxed environment lets all kids learn at their own pace and often encourages younger children to develop skills more quickly. 5. It offers special bonding time for you and your child. 45 minutes of singing, dancing and playing with your child, away from phone calls, emails, errands and other distractions is one of the best gifts that you can give to your child. Time flies and before you know it, they won’t be so little anymore. Share the joy of dancing and create lasting memories.